I have a confession to make. I absolutely love apple desserts, particularly apple pies, apple crumbles and apple crisps. Their warm, spicy flavors make them real comfort food. But comfort food usually comes with plenty of calories. 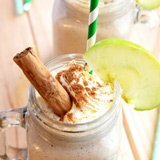 Swapping a pastry laden pie for a healthy apple pie smoothie seemed a great way to enjoy that apple flavor without the calories. So I began experimenting. And it turned out not to be as difficult as I first thought. 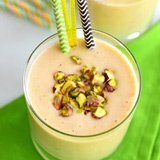 These smoothies are thick and creamy, they are filling, and they have that spicy apple pie taste. This is a great way to indulge if you love apples. You lose the added sugar and rich pastry and gain all the taste as well as all the health benefits. What you are trying to achieve is that distinctive apple pie flavor, so start with green apples. Then you need a thickener. Bananas or avocados work well taste-wise. You will need a liquid that complements rather than overpowers. 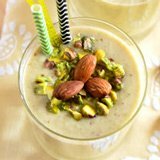 Almond milk works well, or you can go with a flavor such as cranberry or apple juice. Rolled oats will give you texture. Then there are the spices. Cinnamon, nutmeg and ground cloves are typically used. A great way to add more flavor is to use applesauce. 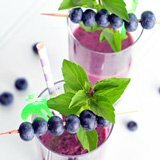 You can also add berries. 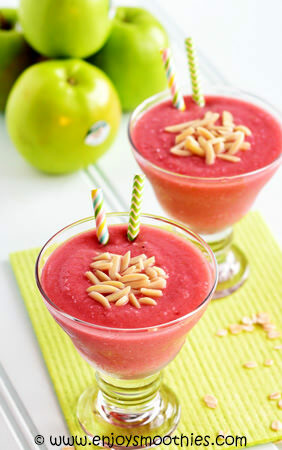 In fact any fruit that goes with apples can be added to your smoothie. Core the apples leaving the skin on. Add the apple pieces to your blender together with the frozen banana, vanilla yogurt, almond butter, almond milk, cinnamon, nutmeg and ground cloves. Turn your blender on high and blitz until smooth and creamy. Pour into two glasses and decorate with chopped nuts. Chop and core your apple. Combine the chopped apple, frozen raspberries, banana, apple sauce, cranberry/apple juice, rolled oats, cinnamon and nutmeg in your blender. Secure lid and blitz on high until smooth. 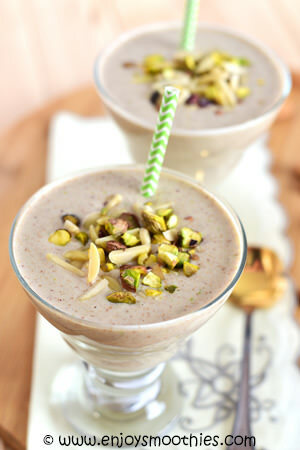 Pour into 2 glasses, decorate with chopped nuts and enjoy.